Home - BrandLuck. Buy brandable domain names. | BrandLuck. Buy brandable domain names. Brandluck offers professional self-created domain names + logo that are highly brandable. The main objective is that you have a professional name, dotcom and image for your project. Get one yourself now! We continuously create new, unique domain names and the adjecent ready-to-use brandable business names. We feel that you should have the best name ever! It should be a reference within your segment. All this, at a reasonable price moreover, because no one wants to overpay. That is why Brandluck offers you name, logo and domain name at the lowest price of the market. Not sure? Check around yourself and .. we'll see you soon. All our brandnames come with their own pro designed logo and a premium dotcom domain name. More services can always be contracted should you want, we can deliver it all. Like this you can be sure that your new brand will kick in like dynamite at the very launch of it. Your business name is likely the first thing communicated when introducing it to others. It should be the start of a conversation that instantly engages your audience. We currently have published some of our own domains only. 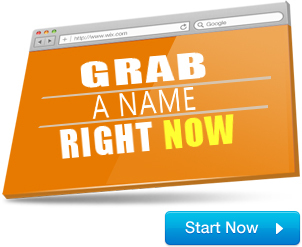 Soon you will find a series of names from domain owners, all meeting our quality and price standards. Only here you'll find the best. Don't wait for luck, Brandluck! Do you want to sell a brandable domain name? You came to the right spot. We intermediate for you so that you will get most fair price possible for selling your domain. We take a small fee on the sale. Ask Brandluck for conditions. We welcome new logo designers! Due to a high demand we are looking for expanding our business, so if you need work do not hesitate to contact us.